How absolutely beautiful this unique granny square crochet square pattern is! It has the timeless appeal! 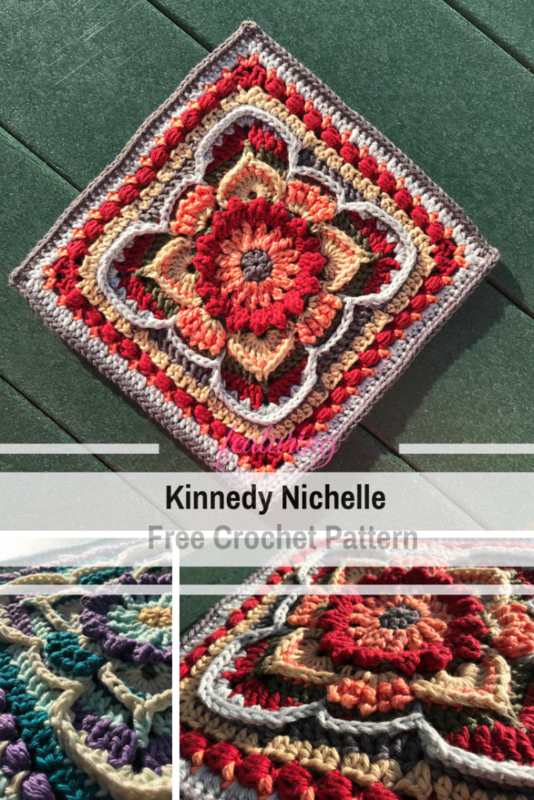 Kinnedy Nichelle by Pam Knighton-Haener is a wonderful crochet pattern with absolutely endless color possibilities. The pattern is interesting enough to to keep you on your toes without being too complicated. There are so many different color placements to use to make the pattern unique and absolutely your own ! placement instructions, are to help identify the stitch. Super-Clever Starburst Afghan Block Pattern With Such An Interesting Design! Get the pattern: Unique Granny Square Crochet Pattern With A Fabulous Design. Thanks to Pam Knighton-Haener for the article inspiration and featured image. [Free Pattern] Wonderful Aida Lacy Shawl: So Simple And Fast! [Free Pattern] A Cozy Afghan Topped With Gorgeous Roses And Ribbons Is Timeless!